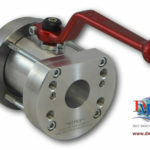 DMIC Subsea Flanges, colloquially dubbed “Seal Subs” are the U.S. made choice when reliable deliveries, available DFAR compliance, and superlative design/manufacturing integrity are important criterion for your project. The DMIC Subsea flange series is derivative of the DMIC SAE J518 C.62 6000 PSI flanges we’ve supplied for decades, optimized for subsea use with 316/316L construction and dual radial + face seal elastomer elements. DMIC’s offering bridges the proven design of boutique Subsea technology, with the characteristic quality of DMIC Fluid Power flanges you’ve come to trust. Choosing DMIC eliminates the potential delays, material uncertainties, and supply chain risk of an offshore made product. 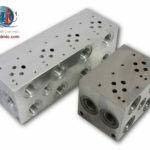 DMIC Subsea Flanges, while relatively new as a catalog item, arrive to the mainstream with years of pedigree from DMIC’s experience working with renowned Distributors in subsea applications. 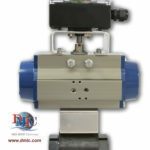 DMIC’s Subsea Ball Valves have been used in the most demanding and challenging applications around the world and have been seen firsthand on TV via undersea cameras by over a billion laymen consumers on every global news network, beginning in 2010.